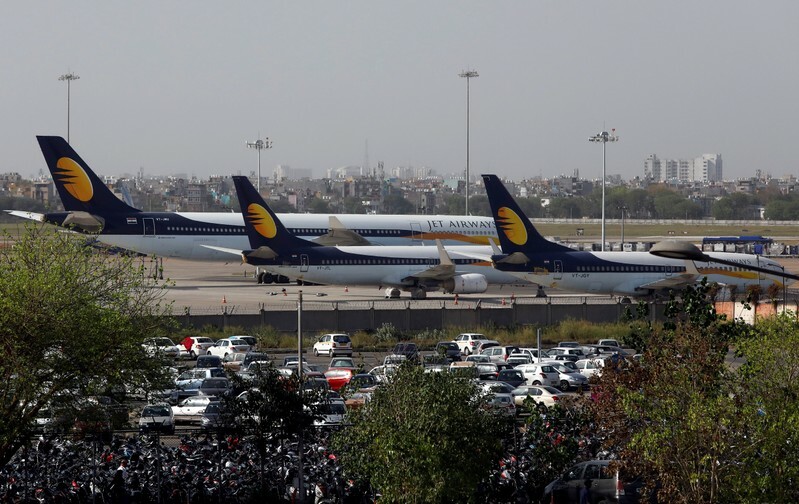 MUMBAI/BENGALURU (Reuters) – The management of India’s Jet Airways Ltd has proposed temporarily suspending all operations of the struggling airline, Indian media reported on Tuesday, as the company awaits promised funds from banks in a rescue deal. Its shares fell as much as 18.3 percent to their lowest level since August 2015 following the news, as the future of the once-dominant Indian airline appeared increasingly uncertain. Jet Airways is likely to temporarily shut down operations, said Indian business channel CNBC TV18, citing unnamed sources. The channel said Jet’s CEO has been authorized by directors at a board meeting to engage with its lenders one last time, and halt operations late Tuesday, if no funds arrive. Separately, ET Now reported Jet’s management has proposed to suspend all operations as one option at Tuesday’s board meeting, or alternately continue with skeletal operations with any interim funds infused by State Bank of India (SBI), which leads Jet’s consortium of lenders. In a bid to rescue the 25-year old carrier, Jet’s lenders are attempting to bring in a new investor to buy a stake of up to 75 percent in the airline and initial expressions of interest were submitted last week. Jet currently has roughly 44 flights, and only about seven operational planes, a senior pilot with the airline and a member of the pilots’ guild told Reuters on Monday. Shares in Jet partially erased earlier losses and were down 9 percent in late afternoon trade in Mumbai on Tuesday.